Have you ever wondered makes a kitchen different? It’s not just about the cabinet selection, it’s about adapting to the unique needs of each home. Here are some of the top-sellers among IKEA kitchen cabinets around the world. Kitchens in China are small and functionality is key. Drawer inserts, pull-out accessories and kitchen carts and islands are all the rage in Shangai. The preparation area often needs more space than the cooking area itself, as Chinese tend to cook their meals from scratch with a focus on vegetables. The HITTARP door style is the top favorite. 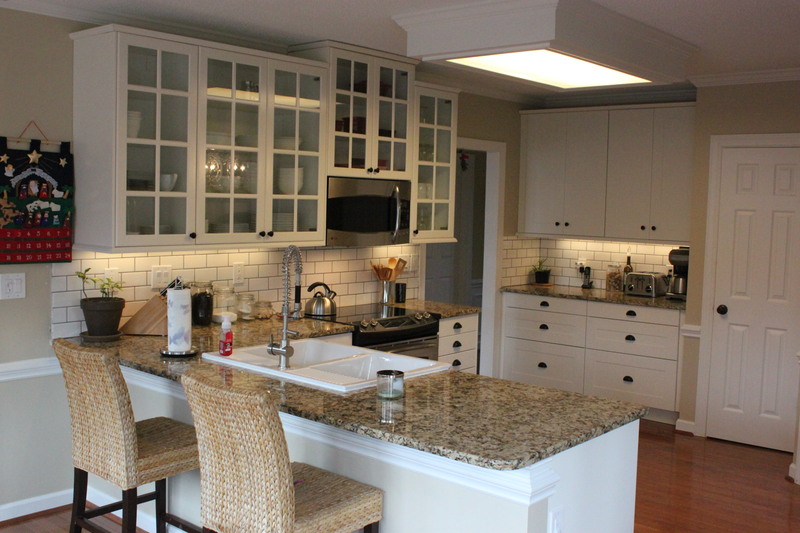 In the U.S, the kitchen is often a place for gathering and socializing. Kitchens tend to be bigger. Americans tend to use more partially-prepared or packaged foods and containers. This calls for more storage solutions and a greater need of cabinet space. Tall cabinets are a must. Also, most counters are made out of stone, like quartz, to ensure a long-lasting IKEA kitchen. The favorite door style? GRIMSLÖV in off-white. An IKD customer’s IKEA kitchen featuring GRIMSLÖV doors in off-white. Europeans love high-gloss doors and London residents are not an exception. The most popular door: RINGHULT in high-gloss white. Cooking habits in the U.K are similar to North America but they make at least one home-made meal a day, often at dinner time. This is also a place where British people keep their built-in washers and dryers and want the same style front as in the kitchen. The typical Berlin kitchen is highly practical and an IKEA kitchen design that’s easy to keep clean is a big priority. In Germany, people generally bring the kitchen appliances and cabinets with them when they move to a new home. Free-standing units like the VÄRDE wall shelves are convenient for them. They love the sturdy VEDDINGE doors for their easy-to-clean flat fronts. Stockholm is a city with many older homes and people like their kitchens to look more traditional. BODBYN doors are always popular. Swedes love drawers, waste sorting and energy-efficient appliances. We can create an IKEA kitchen design for you no matter where you are in the world! All you need is an internet connection to get started. Check out our IKD Design Package.